It’s time to dress up whoo whoo! 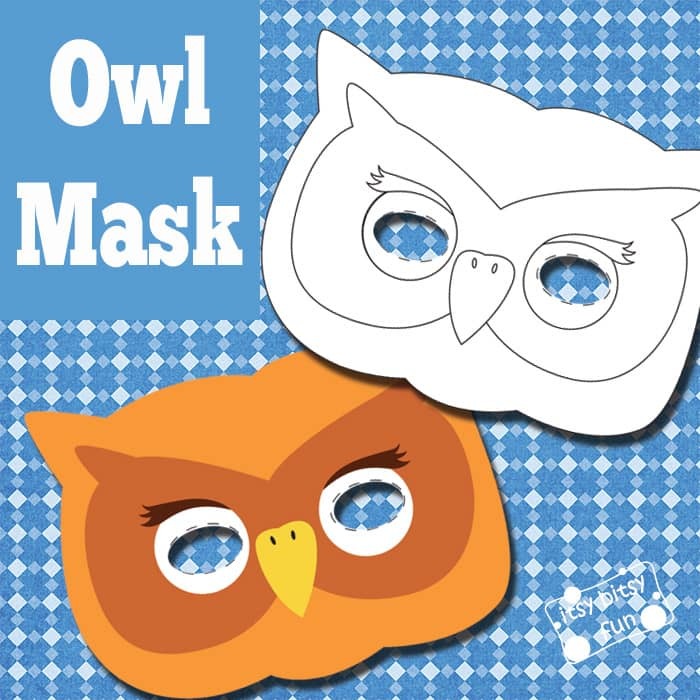 Kids will love to play with these printable owl masks. The collection of my printable masks is constantly growing (the printable wolf mask being my current favorite). Soon there will be enough for the kids to play the zoo (well there is probably enough already). Owls have been all the rage on Pinterest the last couple of years (on clothes, printables, furniture…) and whooo (ha!) am I to not make an owl printable? I grew up in a place where there I got to see these gorgeous birds almost daily (well nightly) and I do have a lot of admiration towards them although I did have a bit of an awkward experience with them. One day they someone brought an owl to the school, apparently this one was injured somewhere in the past and has been with the family that rescued it ever since. All of the kids (me included even though I was seeing them often) were super excited at the sight of it and it really was magnificent). The man who held it asked for a volunteer to hold the owl (you can imagine everyone was raising their hands and asking to pick them – again me included). A girl in my class was picked and as soon as the owl was on her hand it did the number 2. A lot of number 2. All over the poor girl. It still amazes me when I think back at how much one owl can… Well you know… While that poor girl did get the majority of it all of us who were in front got our share (small one that is but we all acted like we will die from it). There are two mask and you can use them both – one is precolored and ready to go and another is a blank owl mask template just waiting to be colored in all the colors of the rainbow. Get the colored and black and white printable Owl Mask here. Either for a school play or Halloween (or just a dress up party) these will make the day more interesting. If you liked this one I’m sure you will like the lion mask too! Also be sure to check the printable dinosaur masks (they are one of our most popular).